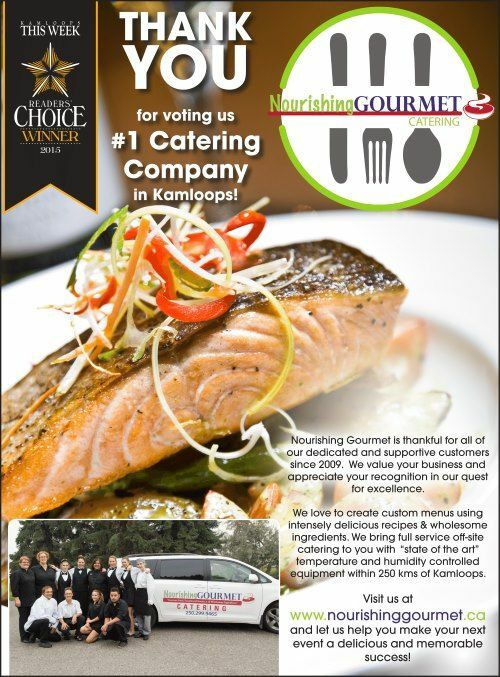 Nourishing Gourmet is very happy to provide full-meal on site full pig and lamb roasting for your catered wedding or event in Kamloops. There is nothing quite like a full, all day roasted pig carved freshly for dinner. With the help of PigOut Roaster's © full size roaster, your wedding guests can be treated to a large assortment of meal options entirely roasted wherever your event takes place. 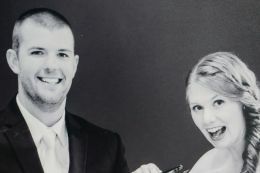 The different types of food and cooking styles supported by the roaster and Nourishing Gourmet's expert staff will make sure your wedding dinner dreams can come true. 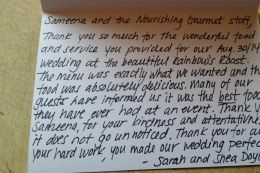 Get your wedding or event catered by Nourishing Gourmet and try one of our many on-site whole roasted meal options!